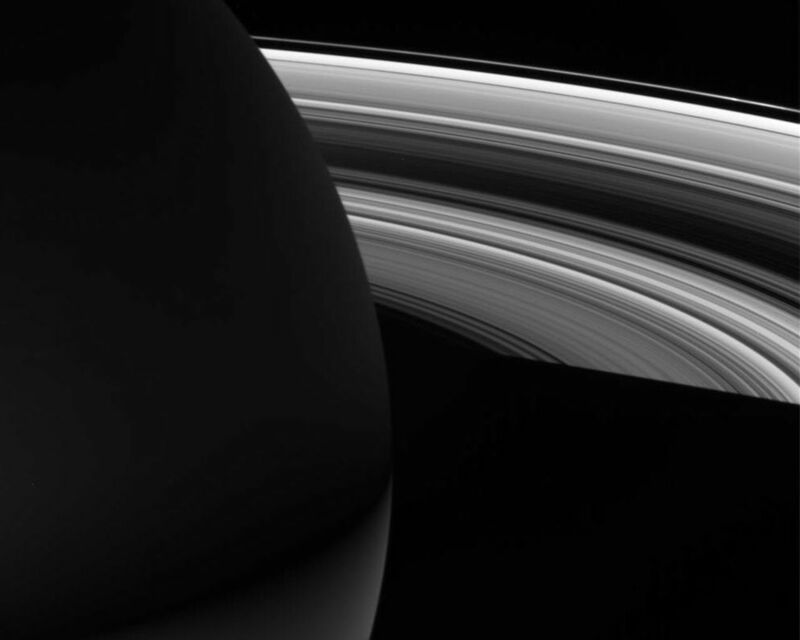 The night skies of Saturn are graced by the planet's dazzling rings, but as this image shows, one's view could be very different depending on the season and from which hemisphere one gazes up. 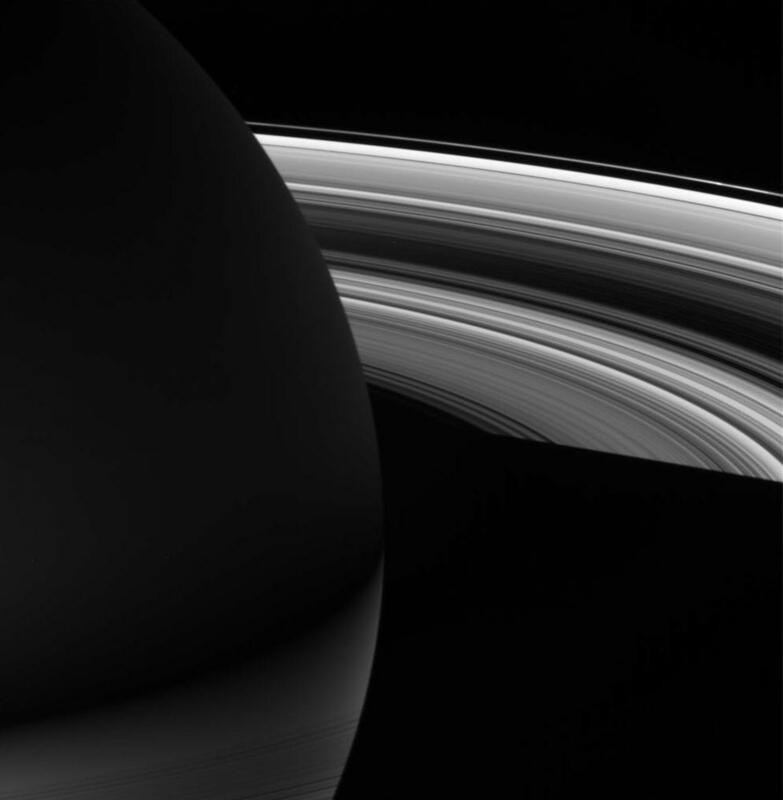 This point of view shows that the southern hemisphere is much brighter on the planet's night side than the northern hemisphere, owing to the brilliance of sunlight reflecting off the southern illuminated rings. 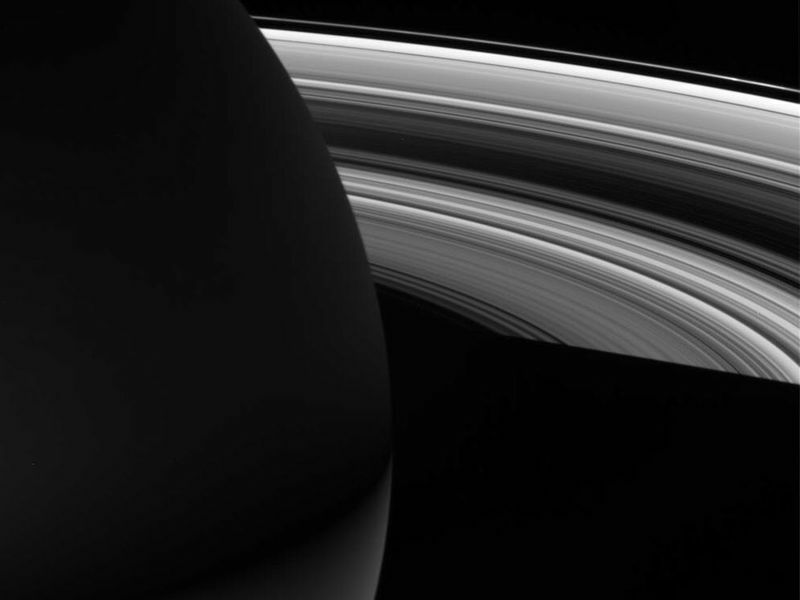 The northern hemisphere sees only the ghostly glow of the dim scattered light that manages to penetrate the rings. 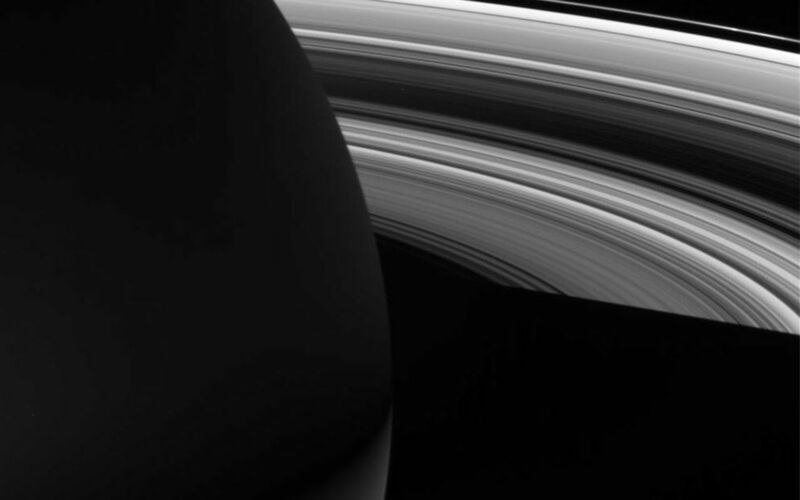 The planet's shadow eclipses the rings themselves in the lower half of this scene, but close inspection shows ringlets in the C ring silhouetted against the southern latitudes. The image was taken in visible light with the Cassini spacecraft wide-angle camera on July 25, 2006 at a distance of approximately 952,000 kilometers (592,000 miles) from Saturn and at a Sun-Saturn-spacecraft, or phase, angle of 124 degrees. Image scale is 53 kilometers (33 miles) per pixel.